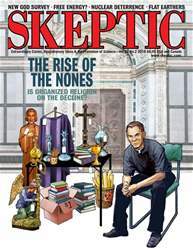 Daniel Loxton is the Editor of JUNIOR SKEPTIC, and writes and illustrates most is2 sues. Daniel is the author of Evolu_ tion: How We and All Living Things Came to Be. 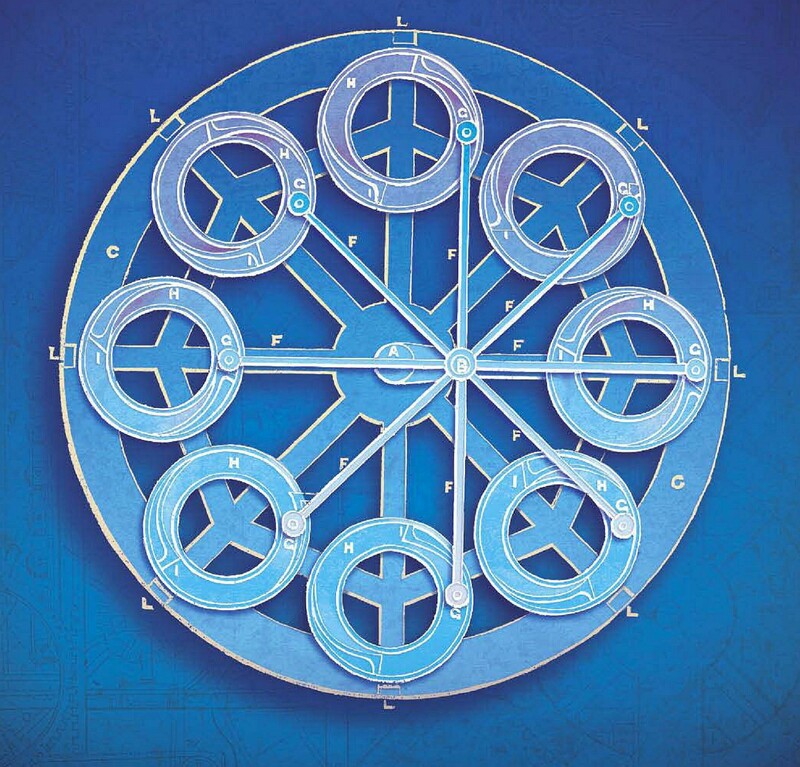 This Issue’s Cover by Daniel Loxton is based upon a perpetual motion machine designed in 1790. Today I’d like you to imagine two impossible, magical machines: The first machine runs forever. You may picture a complex tangle of gears and wheels, or something as simple as a spinning top, but imagine that it never runs down—once started it just keeps going without ever needing more energy. Now imagine a second machine. This one may require fuel or energy to run, but somehow, through some fantastic process, it generates more energy than it consumes. We aren’t the first to imagine these two types of “perpetual motion” machines. Inventors have dreamed of such devices for centuries. How has their search unfolded? Things Run Down— Don’t They? 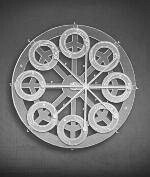 A perpetual motion machine would be totally different than any kind of machine we know. Machines need energy to keep them running. A car can keep going only until its gas tank runs dry. A remote control drone can only fly while its battery remains charged. Even the simplest machines run out of energy. 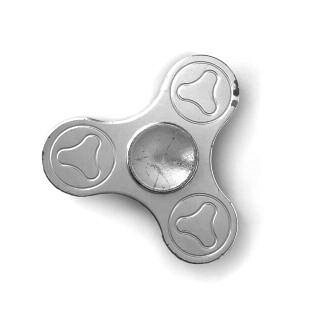 A “fidget spinner” toy is designed to spin for as long as possible, but even a really good one will slow to a halt within minutes. If a parent stops pushing a toddler on a swing, the poor kid will slowly come to a stop (and then dangle there, hollering for a push). Some machines can run for a very long time—even until they wear out—because they continually get energy from natural sources. I don’t need to change the batteries in the solarpowered lights on my patio; they’re recharged every day by energy from the sun. The long blades of a wind turbine are turned day and night by energy from the wind. 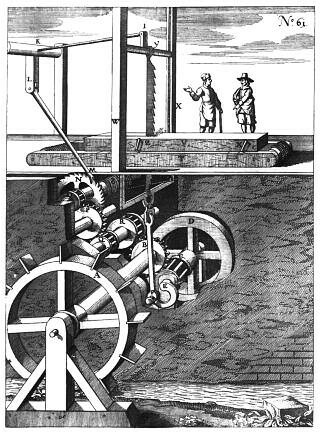 A waterwheel is kept in motion by energy from flowing water. A perpetual motion machine would be something else entirely. Imagine that you could flick a fidget spinner once and then watch it spin without slowing for the rest of your life! Is such a thing possible? Many have hoped so. For hundreds of years, cunning and obsessed inventors have attempted to design machines that could run by themselves forever. Countless clever contraptions have been built to try to make that dream a reality. Some have been simple; others have been complicated. But no matter the details, every perpetual motion machine ever built has had one thing in common: none of them has ever worked. No one knows when the search for perpetual motion began, but the quest is very old. “From the beginning of the world,” guessed one writer five centuries ago, mathematicians and philosophers “with great expenses and labor, have attempted to find out a continual motion or moving” using “diverse instruments and wheels”— but none succeeded.